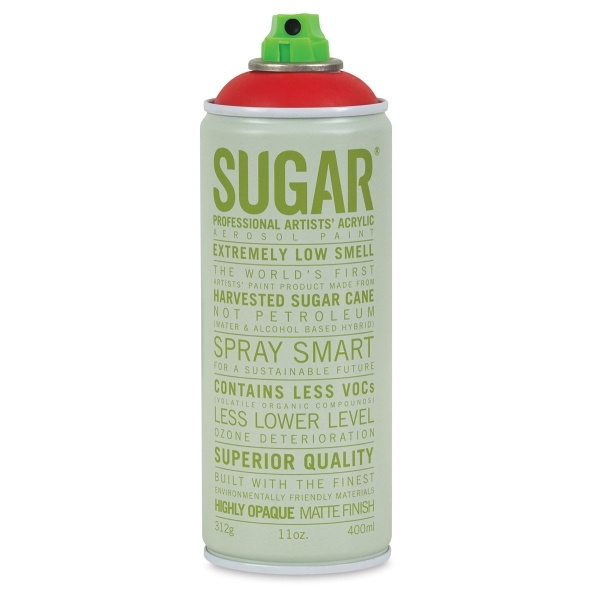 Made from harvested sugar cane, not petroleum, Sugar Artists' Acrylic Spray Paint is an extremely low-odor spray paint that contains fewer VOCs than traditional formulas. Made with UV-resistant pigments for long-lasting color, the paint is highly opaque with vibrant color and a matte finish. ® Ironlak is a registered trademark.® Sugar is a registered trademark.